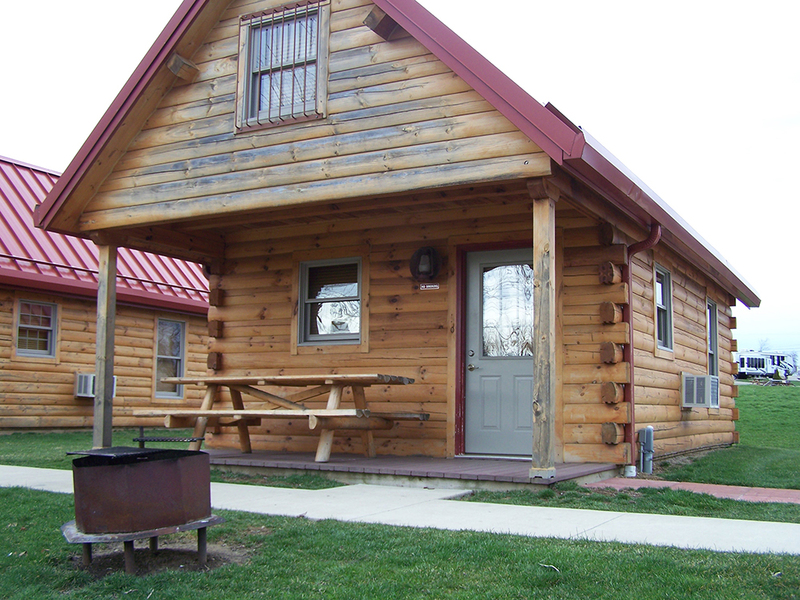 For our more adventurous guests who enjoy a more primitive stay, we offer our two rustic log cabins. On the first floor, these cabins include a kitchenette with microwave, small refrigerator and coffee maker as well as an amply outfitted bedroom with heat/AC and queen-sized bed. The ladder accessible second story 16’ by 30’ loft can easily sleep a large party of friends and family. The loft also includes a television and DVD player. Behind each cabin is a covered porch, fire pit and picnic table.